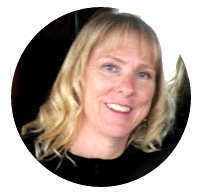 Conversation with Paula Ford, Kindergarten teacher in Cupertino School District, San Jose, California, who facilitates collaborative global projects with her kids. Paula shares with Barbara that most of her career has been working with low-socioeconomic English language learners and why she loves it. Tell me a little about you, your school, and your kindergarteners. I graduated from University of California at Davis with my Bilingual Crosscultural Language and Academic (BCLAD) multiple subject teaching credential, and have been teaching for over twenty years. I began my career in bilingual education and then moved to teaching second language learners. I taught kindergarten, first grade, third grade, and have been a resource teacher for grades transitional kindergarten through fifth grade. The majority of my career has been teaching low-socioeconomic English language learners. Currently, I am teaching kindergarten at Manuel De Vargas Elementary School. Manuel De Vargas Elementary @DeVargas, is a Title I school in the Cupertino Union School District in California. We have over 29 languages spoken at our school. Our school is in year 2 of transitioning to a STEM Project Based Learning School, and I absolutely love it. Tell me about some of your projects. 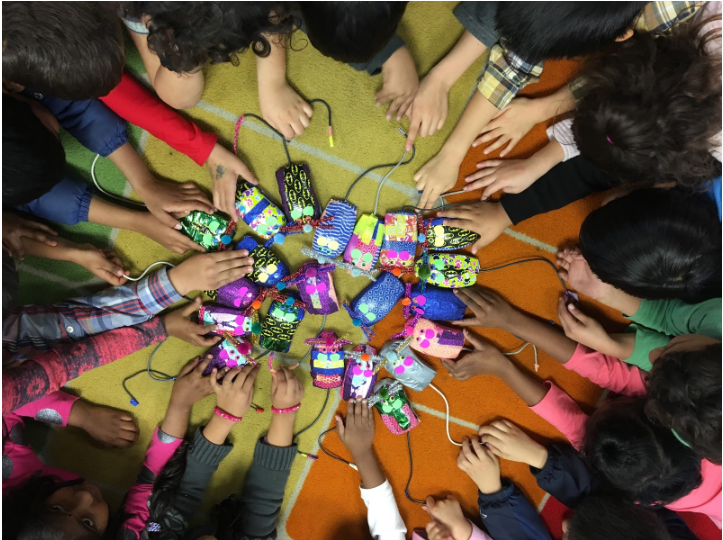 I wrote a post last year for this blog in March 2016 about a Kindergarten PBL my kinder kids undertook with a school in Africa with their 4th-grade buddies. The post is called Project-Based Learning gives Kindergarteners Agency. I’m happy that Barbara has provided a space for me to tell the stories from my classroom collaborating with others. 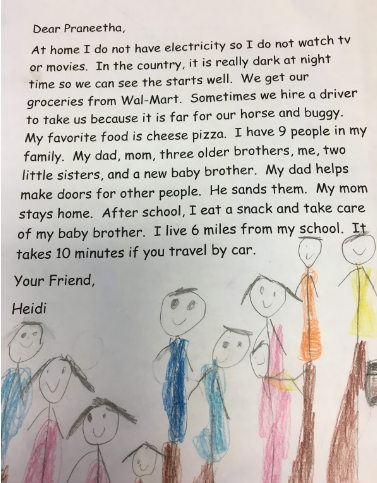 This blog has pictures and tells about the journey my kinder kids went on as they collaborated with a school in Kenya. 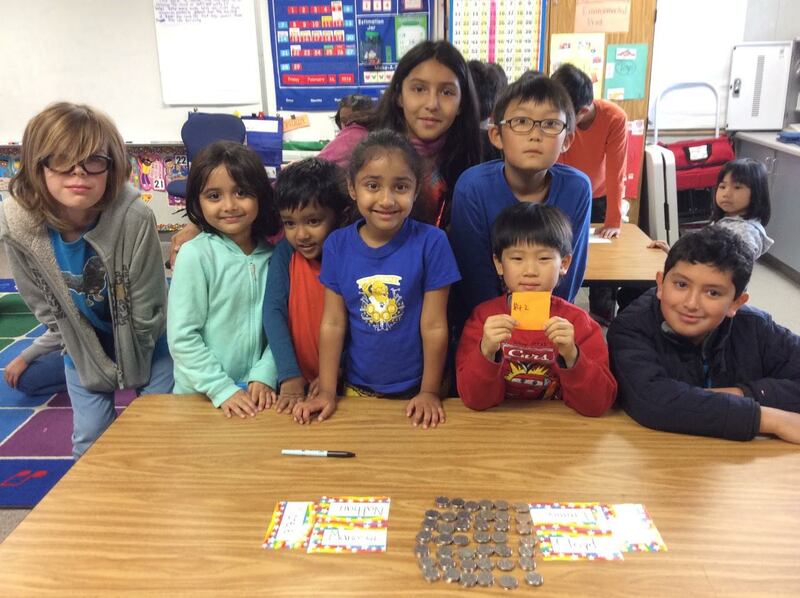 The kids designed the project called “Change for Change” where they made African inspired crafts to sell at a “pop-up store” on campus to donate the money to the African school and did four video presentations to ask each class to donate coins for this school. They collected $470 to send to the school in Africa. 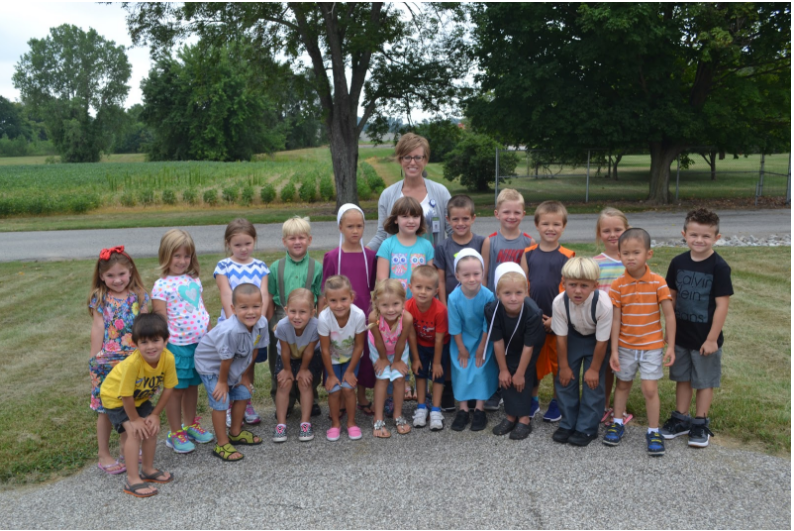 Project-Based Learning gives Kindergarteners Agency. I wrote two other blog posts on Barbara’s site about our school’s work with the Buck Institute for Education (BIE) and need to add that our school serves children who speak over 29 different languages. I always find that fact amazing and inspiring. For those who are thinking about PBL or just starting it, it is like swimming for the first time. You have no idea if you will sink or swim until you try it. Letting your kids take charge of their learning is a huge risk, but the rewards are tremendous. The excitement is contagious. I am as excited about the learning as they are! So the next projects were about comparing cities and farms. We read the book, Town Mouse Country Mouse to frame the reference of the project. 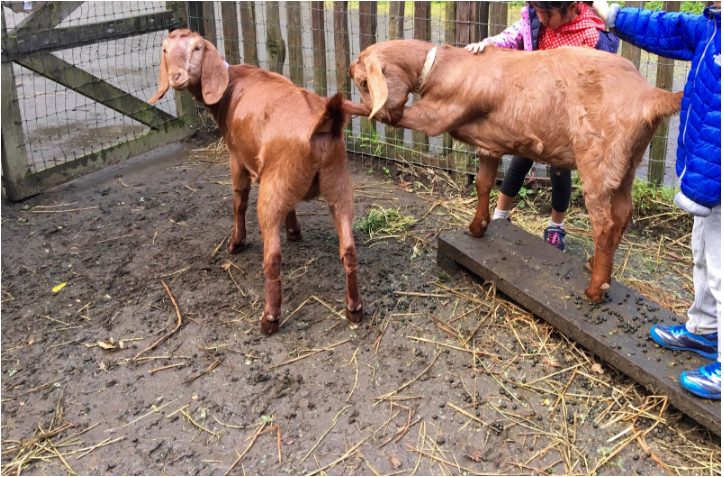 Since my kids only knew about their city, they wanted to learn about life on a farm. 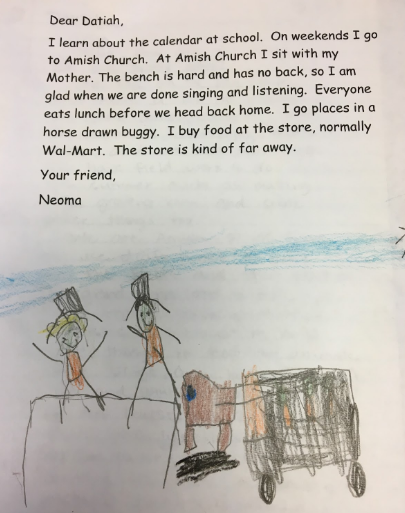 So we collaborated with a kindergarten class in rural Indiana. Both classes sent video introductions that I included on the blog along with letters and toy animals each of the kids made. We made toy mice by decorating computer mice to look like a real mouse. The kids in Indiana make a handmade toy house for each of my children. I wrote the journey in two blogs because there was so many exciting events and stories that came out of this PBL. I included pictures and videos so I hope your readers enjoy them. Why is it important for Kindergarteners to learn to collaborate? Collaboration is a necessary skill that our young learners need to have. If you look at our work force, they are working in teams and video conferencing around the world. They don’t need to learn how to only learn something by themselves but to learn together in a group. They need to be able to understand and explain their thinking and understand another person’s point of view so they can work together. Why not learn these skills early in kindergarten? What are some other ideas for projects for next year? I am very lucky that my district is so supportive and my principal encourages us to do PBL and to develop collaborative projects. For the last three years, we have been fortunate to work with the Buck Institute of Education (BIE) on PBL. Actually, when you first start learning project-based learning, it makes your head hurt. It seemed like it was not possible, but BIE walked us gradually through the process. It is great to have the support we need from the top all the way through to the classrooms. We are going to start off next year with a school-wide PBL to get our whole school on the same page using the same driving question based on our mascot; a Lion. Each class will tackle the question differently based on the age range to develop community. We haven’t come up with the final question, but it is something like this: “How can you show ROAR?” ROAR stands for Respect Others and Act Responsibly. So my kindergarteners are going to explore each of the words on the acronym and what they mean in a 5-year-old world. Each class may address these words in a different way so a 5th-grade class will look completely different than my kindergarteners. Share any thing else about your passion for teaching and learning. My passion is teaching the PBL way. I’m so lucky to have a job I love and am excited about going to work every Monday morning seeing the enthusiasm from many of the kids. I love putting the learning in their laps because you never know quite where it’s going to go. When my kids are exploring, creating, and just having a blast, they aren’t even aware that all of the standards are tied to the projects. They are learning while experiencing and doing it. It’s really a fun way to get a lot accomplished, and it’s fun for me too. 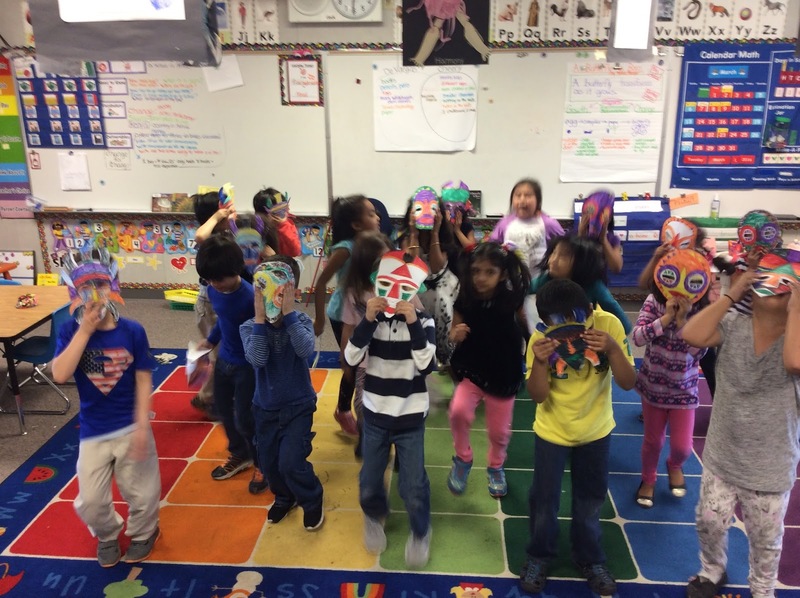 Guest post by Paula Ford @prford5, Kindergarten Teacher at Manuel De Vargas Elementary School in San Jose, CA. 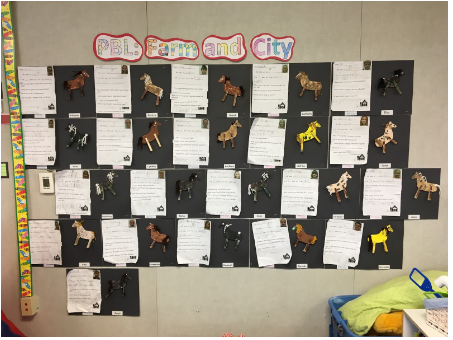 This post is a continuation of her post on Traveling Toy Animals with her learners in California and with Ashli Engle’s class in farming country in Indiana. 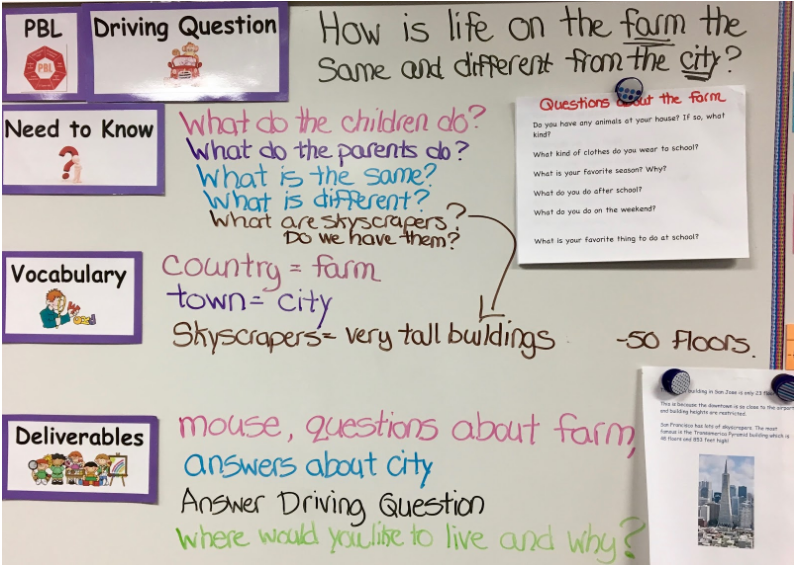 Our question: How is the city and the farm the same and different? 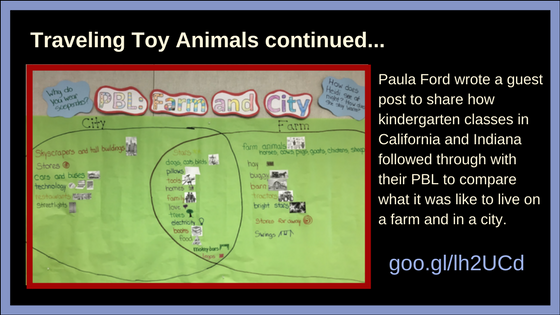 We have now concluded our PBL, and would like to share the rest of our adventures with our traveling toy animals. The children worked together to answer all the questions their friends posed in Ashli Engle’s Kindergarten class in Indiana. Each child sent a letter to their Indiana friend, individually answering their questions. In addition, our class worked together to make an iMovie about what it is like to attend school in Silicon Valley. Some of the questions from our Indiana friends asked about what our children’s parents do for work. To help answer that questions, some of the children took iPads home with them to spend a day at work with their parent. The children in Indiana mailed letters back to us, answering all of the questions we had posed. They also sent us a few videos. The first was of the children walking around the perimeter of their school (they took the mice with them). We were amazed by the all the trees and the horses right on the edge of their school site! Many of our children have never seen the snow, and were excited to see that our friends in Indiana play in the snow at recess. This video had a strong message for us: though we may look different on the outside and do different things, everyone has something in common. For example, they had a pajama day and read books to celebrate Read Across America day just like we did. We are not so different after all. After receiving the videos and answers to our questions, we found that we still had more questions we wanted to ask. We arranged a Skype video session for our children to ask and answer follow up questions. 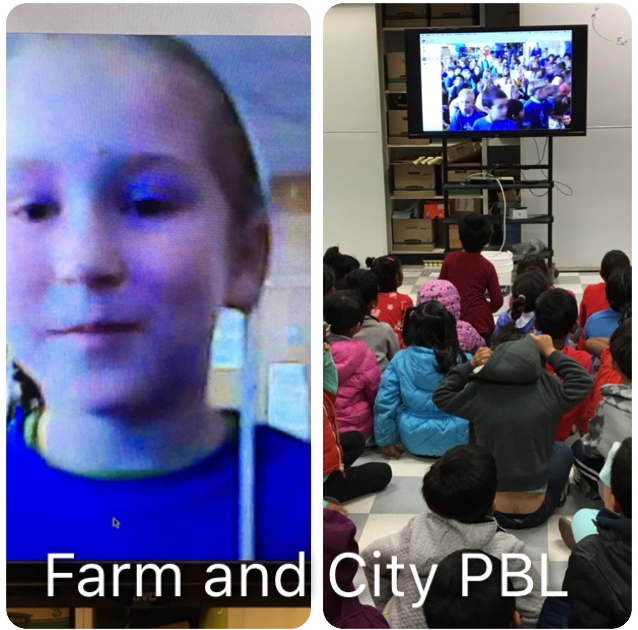 Following the Skype session we reflected on our learning and revisited the original Driving Question: How is the city and the farm the same and different? We realized that now we are experts on this subject, and we shared this knowledge with our friends and family. Though this PBL has officially ended, it really is just beginning. Originally, we intended to return the mice and horses back to their original owners. However, the children decided that they would like to keep the animals they received as a special memory of this PBL. In addition, the children have requested to share their contact information with each other so that they can continue to communicate together, and include their families in this process. I graduated from University of California at Davis with my Bilingual Cross-cultural Language and Academic (BCLAD) multiple subject teaching credential, and have been teaching for over twenty years. I began my career in bilingual education, and then moved to teaching second language learners. I taught kindergarten, first grade, third grade, and have been a resource teacher for grades transitional kindergarten through fifth grade. The majority of my career has been teaching low-socioeconomic English language learners. Currently, I am teaching kindergarten at Manuel De Vargas Elementary School, and I absolutely love it. 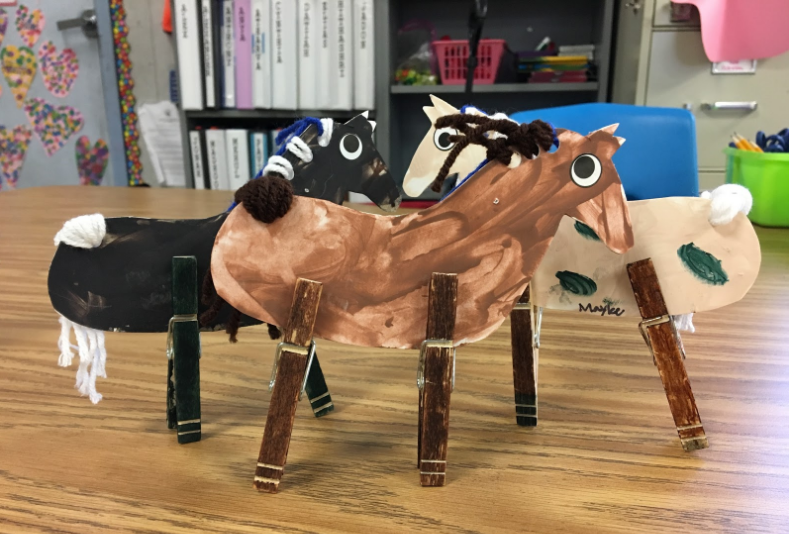 I’m happy that Barbara has provided a space for me to tell the stories from my classroom collaborating with others and was able to continue from the last post Traveling Toy Animals so we could finish the PBL activity with you. I also wrote a post last year for this blog about a Kindergarten PBL my kinderkids undertook with a school in Africa. I look forward to sharing more exciting PBL kindergarten projects in the future. 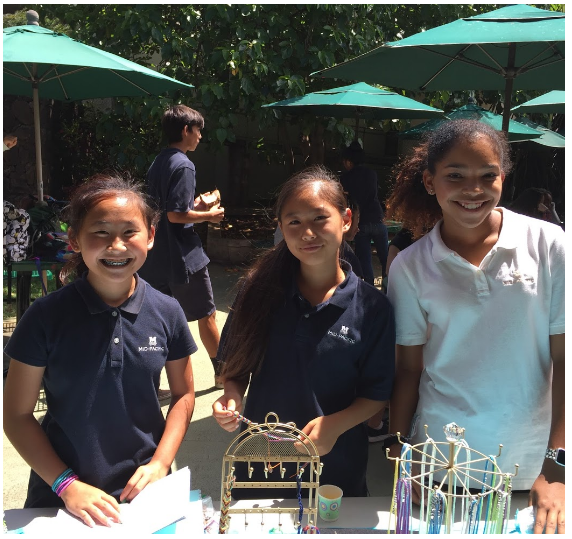 I teach at a STEM school with a focus on Project Based Learning (PBL). We are in the third year of this learning process, with the help of Buck Institute for Education (BIE). Our school serves children who speak over 29 different languages. I always find that fact amazing and inspiring. For those who are thinking about PBL or just starting it, it is like swimming for the first time. You have no idea if you will sink or swim until you try it. Letting your kids take charge of their learning is a huge risk, but the rewards are tremendous. The excitement is contagious. I am as excited about the learning as they are! This post is in the middle of this PBL, but the kinderkids are excited about sharing their journey. How is the city and the farm the same and different? 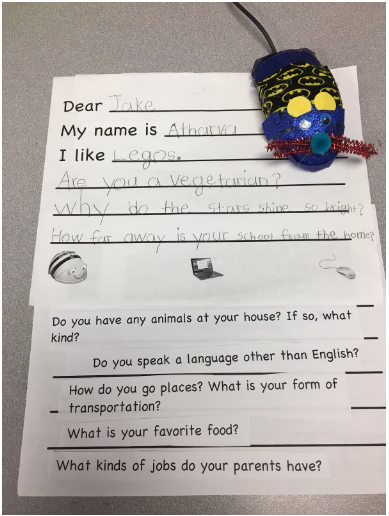 After the launch, the children brainstormed what kind of animal they would like to send to a group of kindergarteners in rural Indiana to learn about life on a farm. After much discussion, the children decided to use an actual computer mouse, and turn it into a toy mouse. This would symbolize that we live in the heart of Silicon Valley, and technology is a part of our everyday lives. Each child made their very own mouse and wrote a letter to their new friend in Indiana asking questions about what it is like where he or she lives. Our field trip to the farm was an asset in helping the children come up with questions for their Indiana friends. Along with the letters and mice, we sent a video introduction of ourselves. Before long our package was in the mail, and we anxiously awaited to get ours from Indiana. Shortly, a package arrived from Indiana addressed to us. Inside was a handmade toy horse for each child. They explained they chose to make a horse as they travel to and from school by horse and buggy! 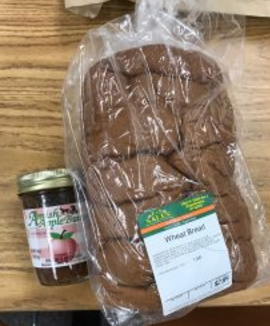 In addition, they sent us local homemade Amish wheat bread and Amish apple butter. Finally, there was a letter for each child with a set of questions about life in the city. Some of the questions they asked included: if we have skyscrapers, how we learn at school, how we travel to and from school, what languages we speak, what kinds of clothes we wear, what kinds of job our parents do, what kinds of food we eat, what is the weather like, and what is the ocean like. 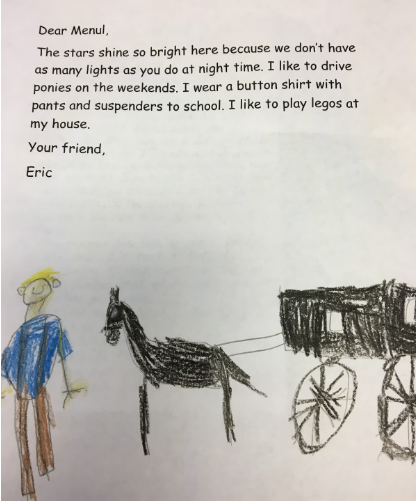 After the children had ample opportunity to play with the horses and share their letters with each other, we dove into the project of answering their questions. First, we figured out which questions we already knew the answers to, and we answered those first. Next, we made a list of what we needed to learn. We realized we did not know what a skyscraper was. That was a new vocabulary word. We proceeded to learn a bit about skyscrapers. The children learned that skyscrapers are buildings at least 40 stories tall. The tallest building in our downtown San Jose is only 23 floors. This is due to height restrictions from the San Jose airport. However, San Francisco has plenty of skyscrapers. 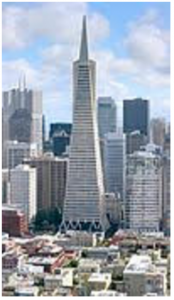 The most famous is the Transamerica Pyramid building, which is 48 floors, or 853 feet high. This discussion included learning about what a pyramid is, one of our three-dimensional math standards. The children decided to make an iMovie to show our friends in Indiana what life is like in the city. We are including a design challenge in our Makerspace since we think that is something unique to our school. 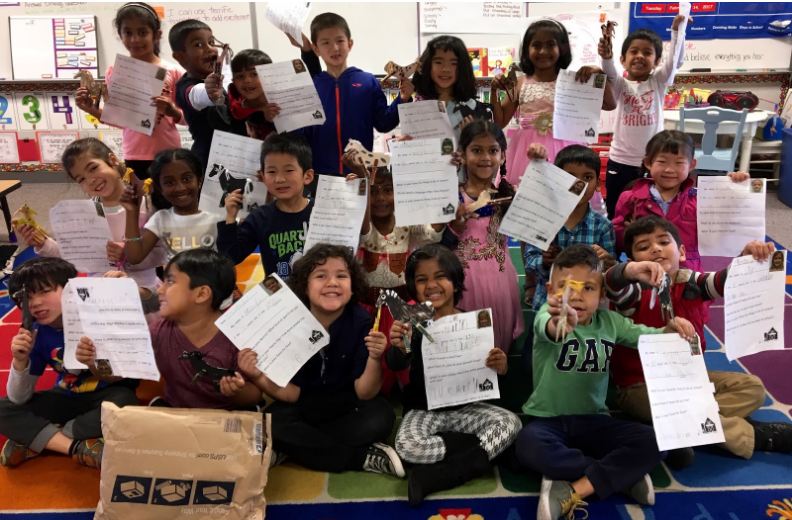 With our big buddies we designed and created catapults to launch candy hearts. Some of the children are also taking iPads home to spend a day at work with a parent. They are going to video document their experience to share with the rest of us, and we will include that experience in our iMovie. We are currently in the middle of this PBL, and so far it has been a powerful Project Based Learning (PBL) opportunity because it lets children from across the country learn from each other. Collaboration is occurring throughout this PBL as many of the questions received are similar in nature. Reflection can be seen throughout the process, as children reflect on their experiences and verify they are answering the questions that were posed. 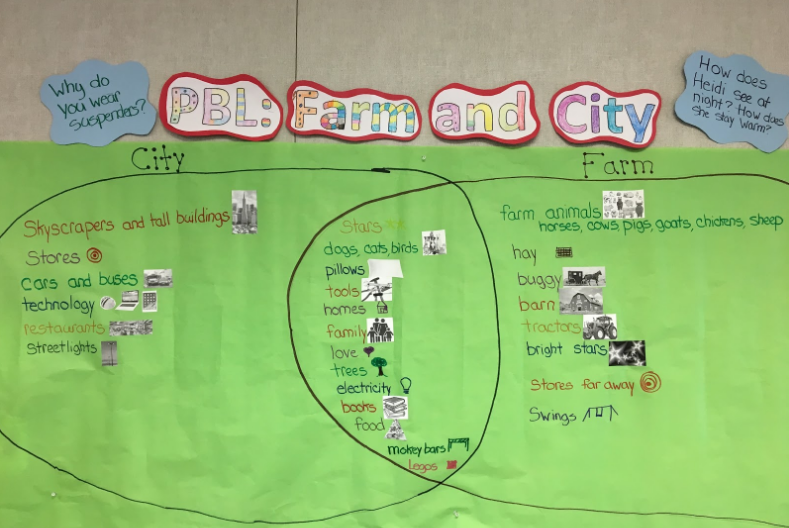 This PBL puts children in charge of their learning, as it allows for nationwide communication about the different communities in which kindergarteners live. Stay tuned to find out what happens when we send our responses back to Indiana and receive their responses to us. I taught kindergarten, first grade, third grade, and have been a resource teacher for grades transitional kindergarten through fifth grade. The majority of my career has been teaching low-socioeconomic English language learners. Currently, I am teaching kindergarten at Manuel De Vargas Elementary School, and I absolutely love it. I also wrote a post last year about a Kindergarten PBL my kinderkids undertook with a school in Africa. Prior to entering sixth grade, parents fill out a form about their child and feelings about school. Nine times out of ten, the least favorite subject listed is social studies. When I speak to parents at open house, I stress I’m not your typical teacher. There are no textbooks, quizzes, or tests but an environment where we all learn together with respect and trust. Our final project last year was Global Awareness which lasted from mid-March until the end of May. What the students didn’t realize was that I was leading them along the path from the very beginning. Through the use of inquiry, CNN Daily News, CBS News, YouTube, articles, and numerous other resources, we arrived at the UN2030 Goals. Instead of revealing the goals, I passed out post-it notes and asked students to list issues, be it local or world, they felt would fall into one of the UN2030 categories. Needless to say, they already knew them and realized their significance. After choosing the issue they felt most strongly about, students formed groups to begin their investigation. One of the questions that continually surfaced was “how can the problem be solved?” We continually discussed and decided bringing awareness would be a good first step. So over the next few weeks we used the design thinking process to develop products which would bring focus to each issue. In between the design thinking process and sales so many other things happened. Constructing prototypes, accepting criticism, deciding on a final product, defending the choice during a Shark Tank, earning fifteen dollars to purchase supplies while at Walmart, keeping a balance sheet, investigating an agency to receive profits, and construction and preparing for the final sale. 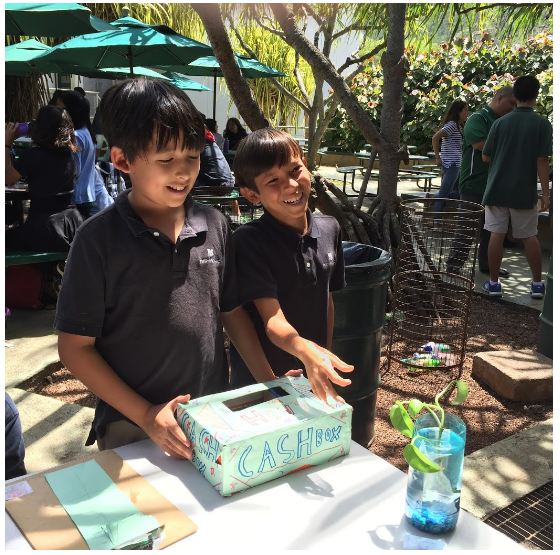 The sale took place during the middle school lunch period with groups divided up over a five day period so individual groups would have one day to explain their cause and sell what they made to students and teachers. 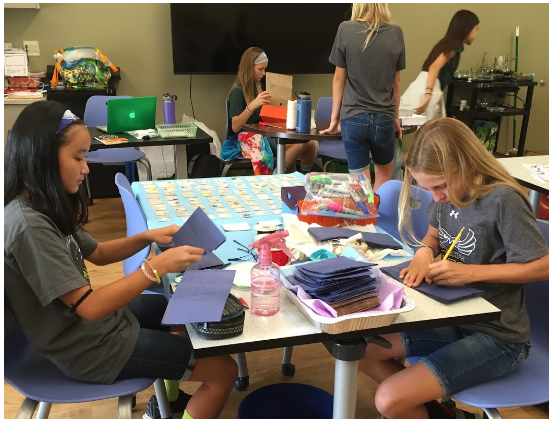 As within every market place, some groups had higher sales than others, but each student was successful in learning about trust, collaboration, and world issues along with how to create and market a product. The final counting of money in the cash boxes and making donations to various agencies brought not only a sense of accomplishment but an understanding there is still so much for us to do. JoAnn Jacobs is a sixth grade social studies teacher at Mid-Pacific in Honolulu, Hawaii. Entering her fortieth year, she looks forward to continually learning with her students and members of her sixth grade team and helping to make the world a better place. When I think about engaging students, I think about Flow. 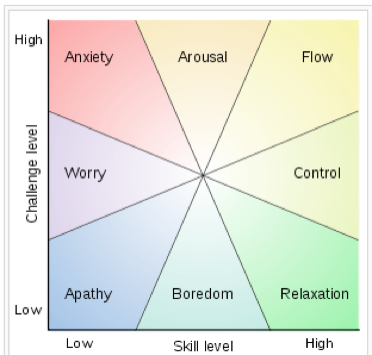 Flow is the mental state of operation in which a person in an activity is fully immersed in a feeling of energized focus, full involvement, and success in the process of the activity. In 1997, Mihaly Csíkszentmihályi published this graph that depicts the relationship between the challenges of a task and skills. Flow only occurs when the activity is a higher-than-average challenge and requires above-average skills. The center of this graph (where the sectors meet) represents one’s average levels of challenge and skill. The further from the center an experience is, the greater the intensity of that state of being (whether it is flow or anxiety or boredom or relaxation). Flow only occurs when the activity is a higher-than-average challenge and requires above-average skills. Kindergarteners spend more time learning how to take a test than learning how to socialize. Watch children play and challenge themselves. You can see how they are engaged. Play and learning needs to go hand-in-hand. If play is purposeful and challenges the learner, any learner of any age will want to learn. How are you experiencing FLOW? Think about an activity that gets you excited and are passionate about. If you love mountain biking, you probably cannot wait for that time to jump on your bike and take off. If you are working on a project that you are really interested in, you might work right through your lunch and not even know it. If you are part of a team and are valued, it makes you feel important. If the project you are working on is something you want to do or want to learn, then you spend even more time on it than you would in a traditional classroom setting. How are your students experiencing FLOW in the classroom? Are they? If so, when? I am a coach. I work with teachers to facilitate moving teaching and learning to student-centered classrooms. This isn’t easy for teachers especially with everything else on their plates. When teachers develop an activity that is student-centered and their students drive and own their learning, the environment changes. The noise level in the classroom gets louder. For some teachers this is bothersome, but that’s just because they are not used to it. I call it controlled chaos and purposeful play. There’s a buzz going on in the room. When students are working in groups and fully engaged, they enjoy working as a team. Especially if each member of that team has a role and is valued in that role. I’ve seen middle school classrooms change from a group of at-risk students who are not interested in anything to learners who are excited about learning. I’ve seen them stay during lunch or after school to continue to work on projects. Now that’s FLOW! You can see FLOW happen when students are working in groups or doing individual work. FLOW is personal. Learning needs to be personal. It really is all about the learner. Manuel De Vargas Elementary @DeVargas, is a Title I school in the Cupertino Union School District in California. We have over 29 languages spoken at our school. 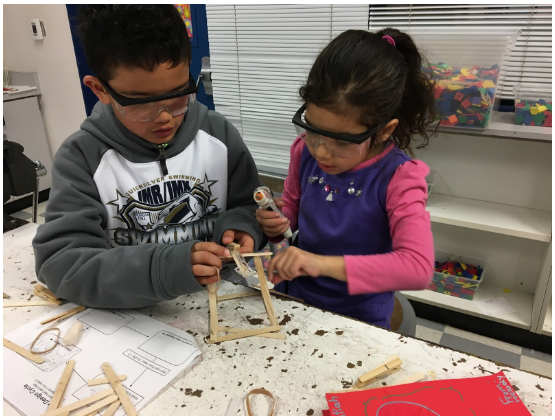 Our school is in year 2 of transitioning to a STEM Project Based Learning School. I wanted to share with you how my kindergarteners took charge of their learning around one of our projects. Originally my kindergarteners decided they wanted to collect books to send to kids in Africa. We have a global partnership with the Cheery Education Center in Kenya. Their plan was to decorate boxes, put them by classrooms and have the whole school bring in donations. I asked them, “how will you let all the other learners know about your project?” After some thought and discussions, they concluded that I needed to contact each teacher. My response was that this would then be my project, when actually this needs to be their project. Hmmmm. More thinking and discussing. Then they remembered we have video announcements done by our school video production crew. So, the kids decided we could make a video explaining our Project-Based Learning (PBL) activity to ask for help. They designed the signs on all the jars, loaded up my wagon, and made the deliveries throughout the school. They chose the groups to work on speeches for their video presentations. Each group had a different subtopic on our Africa PBL. Then we worked with our big 4th grade buddies to practice fluency, voice projection, eye contact, etc. Finally, we filmed it in front of the Chroma Key Green Screen. The big buddies were there watching the filming, and it was so cute how invested they were in my kids performance. 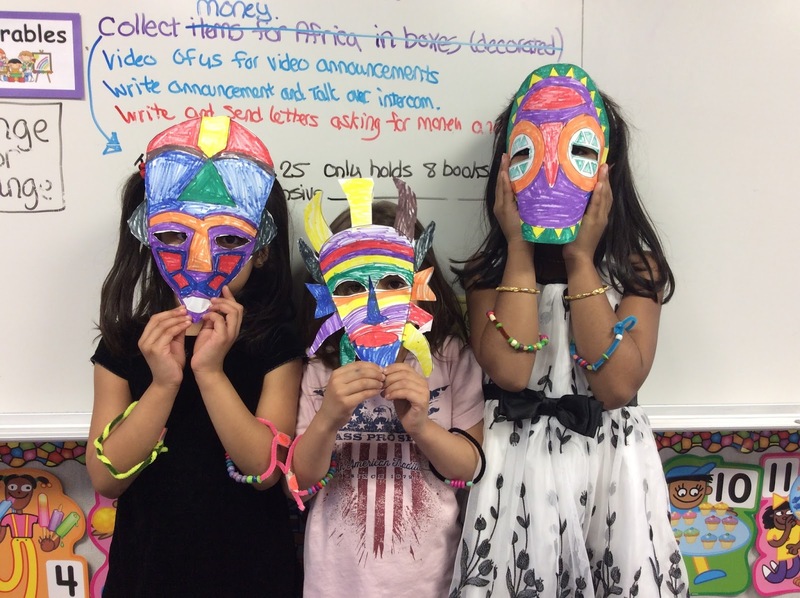 Some of the kinder kids made African inspired crafts to sell at a “pop-up store” on campus to donate the money to the African school. They figured out pricing, and ran the store during recess, lunch and after school. Another group of kinders wanted to make a web-page of sorts (like Go Fund Me). We used the large Apple TV so that they could be active participants in the process of designing the web page (drag and drop, etc). They put up some artwork and writings of what they have learned. In PE, the kids learned African dances. I have been teaching them all African rhythms with the rhythm sticks (great for learning syllables). In science, they learned about what people need to survive (focusing on our PBL in Africa). Our collection jars, “Change for Change,” are now in every classroom. My kids have made four videos for our video announcements about Africa. Before they got the money, they had to decide as a group how they were going to count the money (i.e. stacks of 10 pennies in groups of 10 stacks, or stacks of 4 quarters, etc.). After we collected the jars and sorted the money, we invited our 4th grade buddies to help us count. The grand total was $470! We went back to our PBL board and talked about what that amount of money can provide. We were able to send over 18 kids to school for an entire month including meals with left-overs to pay for other incidental items. My name is Paula Ford. I graduated from University of California at Davis with my Bilingual Cross-cultural Language and Academic (BCLAD) multiple subject teaching credential, and have been teaching for over twenty years. I began my career in bilingual education, and then moved to teaching second language learners. I have taught kindergarten, first grade, third grade, and have been a resource teacher for grades transitional kindergarten through fifth grade. The majority of my career has been teaching low-socioeconomic English language learners. Currently, I am teaching kindergarten at Manuel De Vargas Elementary School, and I absolutely love it. The PDI chart was created for a reason: to clarify the differences in these terms. In 2010, the National Ed Tech Plan defined all three of these terms as they are related to instruction. Kathleen McClaskey and I needed to emphasize the differences: Personalization is learner-centered. The other two, Differentiation and Individualization can be teacher-centered. Yet, in many lessons, a teacher may be addressing all three of these approaches. Personalization or Personalized Learning means the learner is driving their learning. When the learner takes responsibility for their learning, teaching and learning changes. 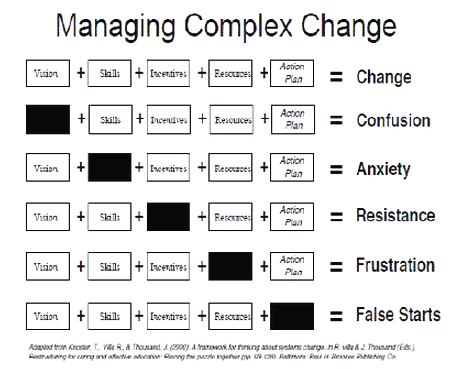 The roles of the teacher and learner change. I welcome you to share the PDI chart and use it for action research, professional learning, and to go deeper and clarify the terms so learning is deeper, relevant, and engaging. Individualization involves assessment OF learning. This is where summative assessment is grade-based and involves testing to confirm what learners know and do not know. Differentiation involves assessment FOR learning and OF learning. This assessment involves time-based testing where teachers provide feedback to advance learning. Personalization involves assessment AS learning, FOR learning, and a minimal OF learning. This is where teachers develop capacity so learners become independent learners who set goals, monitor progress and reflect on learning. Assessments are based on mastery. Now Kathleen and I are doing more work on our own. If you plan to make multiple copies of this chart or use it in a publication, you can email me directly at barbara.bray@gmail.com for permission. Please spread the word about this version of this chart. Share the ways you are using this chart in the comments below and in social media. My Twitter handle is @bbray27 and hashtag is #rethink_learning. The more I learn from you, the more I learn and then want to share back with you. I plan to update this chart from your feedback. You can comment below. After learning about Studio-Based Learning (SBL) from Pat Donohue, I interviewed her to learn about the benefits of this approach and why and how SBL personalizes learning. Pat is inspired by a passion to create engaging environments for learning. “There is a fundamental problem with public school as it has come to be defined. Confining young adults away from the world has created environments loaded with discipline problems and excruciating boredom. The challenge of the classroom teacher to engage young minds in the real subject matters of life while students are stuck in their chairs was clearly a losing task (see Gatto, 1992). Students interact when needed with each other on their designs. Students undergo periodic critiques, known as “crits,” of their designs, projects, or products. Crits are for gaining knowledge about your work. They occur student-to-master first and then evolve self-learning crits between peers. It is driven by the pragmatic. The idea is to get your hands in your work, get it done, revise it to perfect it, and self-evaluate the results. Final work or products are presented publicly. Studio-based learning methods were picked up in various iterations in K-12 programs and in universities throughout the 20th Century. The use of SBL educational laboratories died down in 1970s and 1980s but never died-out. Today, SBL is experiencing a revival. The originators of the SBL model we pursue run the Intelligent and Interactive Systems Lab at Auburn University and partners at Washington State University have launched the Online Studio-Based Learning Environment (OSBLE) where instructors from around the country can share their experiences and growing knowledge about the model’s effectiveness. In the architecture studio, for example, all work in progress is made public. As a consequence, every student can see what every other student is doing; every student witnesses the strategies that others use to develop their designs. And there is public critique, typically by the master and perhaps several outside practitioners. The students not only hear each other’s critiques, but because they were in some sense peripheral participants in the evolution of each other’s work, they also have a moderately nuanced understanding of the design choices and constraints that led to the final result … If you look at the learning outcomes for the architecture studio and Professor Belcher’s physics classes, it is evident that in both environments, students move from ‘learning about’ something to ‘learning to be’ something—a crucial distinction. I believe studio learning is a preferred environment for our educational system, ideas about: situated learning, collaborative learning, personal learning networks and personal learning environments, mobile computing and its ability to deliver an SBL environment into a learner’s hands, and authentic instruction. How did you build this passion for experiential learning approaches? Fifteen years ago, I set out with a Master’s degree in Instructional Technologies to a new professional life, inspired by a passion to create engaging environments for learning. I had been a high school science and English teacher in a central urban school district (Oakland, CA) and a highly rural school district (Lake County, CA). I set out in 1997 on a path that led me to one year of science and mathematics software production for an educational technology publisher, followed by eight years in STEM education grants – six years as Principle Investigator for a U.S. Department of Education grant serving schools in rural North Dakota and two years as Project Director on a similar National Science Foundation (NSF) grant for rural schools in the six Hawaiian Islands. The North Dakota grant was housed in a Science Center and that experience cemented my love of informal education approaches to learning. SBL shows improvement gains for students compared to those in non-SBL courses. 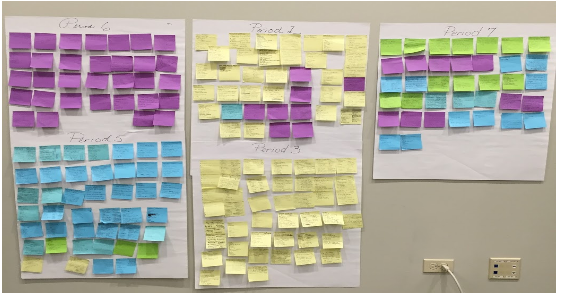 I extended the SBL protocol to a pilot program for high school and am now investigating a revision of the model into a “Design Studio” approach that integrates SBL methods into a more robust laboratory of learning experiences. What are the findings from neuroscience? The point is, from neuroscience research (c.f., John Medina’s Brain Rules at www.brainrules.net), we know that the neurons in our brain form networks of connections that are in some mysterious way we still don’t understand how we store our learning. That learning is individual and based on the numerous factors that shape our individual connections. We learn constantly. In fact, tell yourself to “stop learning.” It can’t be done. This means that every moment of our lives we are re-forming our connections with every new or evolving thought. New thought; new connections; new brain. I find that brain boggling! And, of course, I want to know more. Currently, we are designing an evolution of our Instructional Technology department to embrace a studio environment using SBL principles. I am working with colleagues in the Education departments to reformulate our SBL model into a more rigorous approach for all grade levels and all disciplines to personalize learning in educational contexts. That will involve development of mobile learning approaches to the studio experience and it will involve creating physical laboratory spaces on campus where we implement and research this evolving method of instruction. 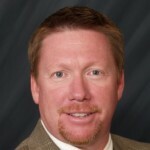 Pat Donohue teaches instructional design and technologies in the Department of Instructional Technologies at San Francisco State University’s Graduate College of Education. She is also President and CEO of Community Learning Research, LLC, a private educational research company located in the Napa Valley, California. 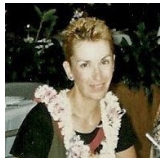 She holds a doctorate degree in Communication and Information Sciences from the University of Hawai`i at Manoa and her Master’s in Education: Instructional Technologies degree from San Francisco State University where she currently teaches courses in Foundations of Instructional Design Theory, Learning with Emerging Technologies, and Usability Testing and Formative Evaluation. Pat worked as a professional development specialist in new technologies and learning for 20 years prior to her current position, eight of which were on federal teacher development grants in STEM (science, technology, engineering, and mathematics) education. Pat was Principal Investigator for NatureShift, a U.S. Department of Education Technology Innovation Challenge Grant (6.5 yrs.) and interim Project Director for Hawai`i Networked Learning Communities, a National Science Foundation Rural Systemic Initiative grant for the Hawai`i Department of Education (1.5 yrs.). Both grants involved technology integration in cultural contexts into curriculum and instruction and teacher professional development in STEM, history, and language literacy for rurally isolated schools in the Northern plains states and the six Hawaiian Islands. Pat taught high school science and English for six years and has taught several university education courses prior to her current position. She held administrative positions at the University of Hawai`i and at San Francisco State and Sonoma State Universities. For a brief period, she published the Middletown Times Star, a small newspaper in Northern California. With a lifelong interest in the learning sciences, Pat’s research has covered technology innovations for learning, cultural implications and impacts on learning, and advanced technology environments for collaborative learning. She is currently researching a new pedagogical model based on traditions of Studio-Based Learning and investigating the implementation of that model into mobile learning environments. Gatto, J. T. (1992) Dumbing Us Down. Lackney, J. A. (1999) A History of the Studio-Based Learning Model. Report of a Workshop on The Scope and Nature of Computational Thinking, Committee for the Workshops on Computational Thinking; National Research Council (2010). Mitchell Resnick (2002) Rethinking Learning in the Digital Age. Chapter 3: pp32-37. Stephen Cooper, Lance C. Pérez, and Daphne Rainey (2010) K–12 Computational Learning: Enhancing student learning and understanding by combining theories of learning with the computer’s unique attributes. Education, v.53(11) pp 27-29. 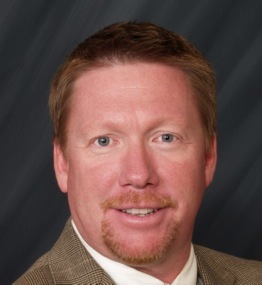 Kathleen McClaskey interviewed Greg Wilborn about District 11, Colorado Springs in Colorado and their journey to personalize learning. For the first time in our history, we have the tools and access to resources to allow individual learners the flexibility and freedom to pursue an education centered around their own interests and aptitudes. Educators and philosophers for centuries have yearned for education that is learner centered and molded by the learner as opposed to the factory system. While the desire has been there, the methods have been shackled by the restrictions of human interaction and delivery methods. There is only so much that can be personalized with one facilitator, 20 to 40 learners, and print media and production methods. Technology is the lever that can move learning to heights yet unseen and now is the time to evolve the approaches and systems to support each and every learner anytime, anywhere. Personalized learning allows learners to have a wide choice of what they learn, how they learn, when, where, and how they demonstrate their learning. Imagine how many ways learners can approach the subject of civil rights if given the right direction, resources, and coaching. Instead of limiting the subject to the content perspective of a certain time period and location, (i.e. the southern United States from 1960 to 1970) learners can research civil rights globally or locally, related to their own family tree, a historic figure, or throughout history. The research can be done on one of several devices, from many locations, and results can be displayed in a variety of engaging formats and even published for the world to see. Creating (verb) is now the top of Bloom’s Taxonomy and learners can now spend much more time in the act of creating something significant from appropriate content that is of interest to them. Every learner in every corner of the globe with connectivity can now take courses from the finest learning institutions in the world, collaborate with others, compete for the best jobs, or start their own global business. All with just an inexpensive connected computer device. Those who opt out or are left out may find themselves unable to recover therefore it is morally imperative that leaders transform education and make it accessible to all. Q. What is your school district’s vision of personalizing learning? At the heart of the District’s Personalized Learning Vision is the desire to provide all learners with a personalized learning experience enabled by universal access to education through technology, wherever and whenever they choose. The provision of a personalized experience for each individual will drive students’ motivation to learn. They will have the opportunity to work individually, in groups, or as a whole class, locally, nationally and internationally. The entire district will maximize opportunities for promoting learning and engaging students in exciting and innovative ways. Access to technology resources will be far broader than classrooms; schools’ social areas and the external environments will utilize technology through interactive displays, challenges, streaming information and celebrations of achievement that enhance the academic culture of the district. The development of a learning platform will allow the learning environment to extend beyond school buildings and traditional opening hours. It will give access to resources, individualized plans, targets, communication tools and achievements for all learners. Online access to schemes of work will allow our learners to plan and think ahead, seeing the progression and connectedness of their learning. Our digital learning environment will allow learners to engage and collaborate with a wide variety of mentors from global industry and education. This collaboration will enhance the quality of resources available and provide an ‘on demand’ approach that helps build personalized learning pathways. There will be no single mode of learning throughout District 11; technology will provide flexibility to meet the needs of learners working in different ways. This will be supported by an imaginative approach to school usage, providing a variety of physical learning environments. A combination of fixed and mobile technologies throughout our schools will be necessary to support this vision but possibly the biggest challenge will be providing access at home in terms of both device and connectivity. Throughout District 11, technology will be used to deliver a ‘wow’ factor to ignite and stimulate learning. The use of technology across all subjects will become a seamlessly integrated part of the learning experience promoting independent working, creativity, enterprise and lifelong success for our students. Q. What steps have your principals and teachers taken to create personalized learning environments in their school(s)? We have launched a comprehensive plan to move all of our schools and classrooms towards personalized learning environments. This enormous endeavor is strategically planned and aligned to the Knoster Model for Change to ensure the greatest chance of success. Upon completion of the district vision we set up meetings with every principal, walk throughs of their building, administered a School Self Review (http://www.gregorydenby.com/self- review.html) for their leadership team, set up training sessions for team planning and offered planning support along the way. Each school now has a strategic plan created by them, for them and aligned to the district’s vision. It was crucial to meet each school where they were and to coach them to the creation of a plan that meets the uniqueness of their environment and their journey. With this approach, we were met with mostly enthusiastic involvement and a sense of ownership by the school leadership teams. We have organized our schools (scores of 1-3) based on their own School Self Reviews to determine how ready they are to begin personalizing learning; Due to the role that technology plays in the ability to deliver personalization, schools that are farthest behind are grouped as 1’s. These schools need basic technology upgrades and professional development and lack resources at this time. Schools that have better resources but lack effective utilization are grouped as 2’s, and the schools that are resource rich and just need better understanding and more focused professional development are 3’s. By identifying where schools are in a journey towards personalization, we can then plan accordingly and meet the needs they have to move up a continuum of progress. 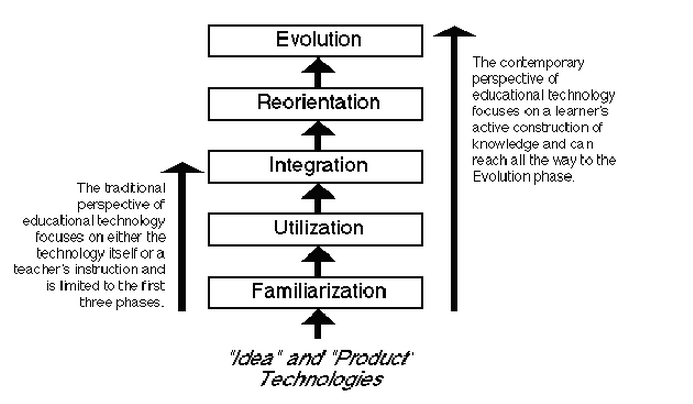 We utilize Hooper and Rieber’s model of technology adoption in the classroom as a guide to progress. Hooper, S., & Rieber, L. P. (1995). Teaching with technology. In A. C. Ornstein (Ed. ), Teaching: Theory into practice, (pp. 154-170). Needham Heights, MA: Allyn and Bacon. Given 52 schools one can only imagine the diversity of paths that exist and progress is measured by ensuring small steps are taken each quarter, this is truly a case of eating the elephant one bite at a time. Projects that are in progress now include 1:1 pilots, establishment of standardized teacher tool kits, experimentation with learning platforms, bring your own device initiatives, flipped classrooms, international student to student collaboration, distance learning courses, and a group of Personalized Learning Lead Educators with representation from every school. As a district, we are creating student and teacher skills ladders for the use of technology, a teacher self review, baseline teacher expectations, online professional development, standardized collaborative tools, and a robotic partridge in a pear tree. Q. How are you preparing and training teachers to move to a learner-centric personalized learning environment? Everything we do is tied back to our Personalized Learning Vision which states that professional development across the District will be a key element in transforming education. As we promote a personalized approach to our students’ education, we will create a system that delivers the same for our teachers. At the center of the system will be integrated self-appraisal. We are in the process of creating an online self review for teachers which they can take as often as they like. This will enable teachers to assess their knowledge and skills online and then link directly through to interactive training and development resources that can be accessed anywhere anytime, as often as needed. Our online professional development system will provide the most effective resources from the highest quality providers, many of whom will be District 11 educators. The District will develop a Personalized Learning Lead Educator Group that will continuously investigate and promote personalized learning and the integration of the best educational technologies into our classrooms. The areas chosen for development through leading educators will be informed by the needs of the District and individual school’s planning. The Personalized Learning Lead Educator Group will be instrumental in the development of exemplar lessons, demonstration classrooms and ultimately demonstration schools which will be specific to leveled tiers ensuring appropriate differentiation. Develop learning resources around their area of expertise. Deliver exemplar lessons that can be viewed by other teachers (live and/or recorded). Explore new and existing technologies. Produce and/or find guidance notes (podcasts, video etc.) in their area of expertise. Develop resources that promote an ‘on demand’ approach to professional development. Use technology to increase the flexibility of professional development e.g., webinars. There are many smaller projects that will support teacher growth throughout the district. Skills ladders for the use of technology are being created for students and teachers. We will shine the spotlight and camera upon exemplar lessons and learning environments and share them via our online professional development system. We are also working hard to provide an equitable teacher tool kit for every learning space while we continue to refine digital collaborative tools for all learners. Kathleen McClaskey interviewed Stephen Petrucci because he was the first British Columbia administrator discussing UDL (Universal Design for Learning) in relation to a personalized learning environment. 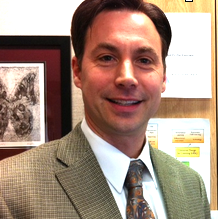 Stephen is Director of Instruction in School District 60 – Fort St. John, BC. 1. What is your vision of personalizing learning? Personalizing learning is education through the eyes and brain of the individual learner. This entails building a relationship with the learner and creating a profile that reveals personal interests, strengths and prior learning, as well as academic needs. It involves determining and getting a learner’s input on how they learn best, using a framework such as UDL to collaboratively design instruction and finally, employing the vehicles of technology and the arts to drive that personal learning forward. Communications, computing and ICT (information, communications and technology) literacy. Caring for personal health and planet earth. The above graphics are from the Technology Council Report. As a school district, we continue to reframe our educational practices to try and reflect this shift, particularly as we are beginning to encompass all these new understandings under the umbrella of Personalized Learning. For myself, I recently attended the UDL course at Harvard in July 2011, which has inspired me to frame our Professional Development using UDL as the filter for Instructional Design. This is at the very beginning stages and has been complicated by a teacher job action that has been in place since September (no meetings, pro-d, etc.). A big part of my growing understanding of Personalized Learning has been through a Personal Learning Network (PLN) that includes my blog, twitter, conferences, webinars, collaborative nings (like UDL Connect). 2. What steps have you taken to create personalized learning environments in your schools? Provided coaching and collaboration time to redesign classroom instruction around Project-Based Learning. This process allows for learning based on student interest and input. It is based on the philosopy of High Tech High in San Diego, as envisioned by Larry Rosenstock. Through the use of BC Performance Standards, we are able to use descriptive rubrics that allow educators and students to establish a more personalized learning journey. This includes input from the students as far as self-assessing their progress based on the criteria provided. Specific interventions such as the Reading Recover program for grade 1 students who are struggling with reading. This is a very comprehensive 1:1 program that works on increasing reading and writing levels based on the individual needs/results of a student. 3. How do your schools determine how students learn best? I’m afraid I can’t say that this is done in any systemic kind of way. At the Elementary level, there would certainly be more feedback from the students than at the secondary level. This usually entails activities that are related to Gardner’s multiple intelligences. Where it is done in a more formal way is for special needs students through their IEP (Individualized Education Plan). Ideally, the classroom teacher along with the learning assistant teacher, specialist teacher and administrator, collaborate on a plan that reflects the learning styles and needs of the student. Of course, the UDL model teaches us that we should be going through this collaborative process for the entire class… Unfortunately, this process has had mixed results, particularly when the classroom teacher does not take ownership for the IEP..
4. How do your students understand how they learn best? 5. How do you see UDL principles working to create personalized learning environments? How are your teachers implementing the principles of UDL in their daily practice to create a personalized learning environment? Please give examples, share photos and/ or tell a story. See also the responses from question #2, particularly the Energetic Learning Campus video. We are at the beginning stages of telling the story of UDL. Nevertheless, whether they are aware of it or not, many of the practices our teachers employ fit in the UDL framework. This is clearly the case with our school and regional science fair. It is also the case in our environments and classes immersed in the arts such as at our fine arts elementary school – Ecole Central Elementary. At this school, students are given options for fine arts modules, based upon their interests. We have a 1:1 wireless writing program whereby every grade 6 and 7 student in our district is given a macbook for the year. They use it at school and can bring it home. What’s important about this initiative is that the focus is on improving student writing, not on the technology of the laptop. We have seen our writing results improve over the last few years – particularly with our boys. Each of the computers is imaged in the same way and include the writing performance standards rubrics for their grade levels. Students constantly refer to this rubric when writing and most importantly, articulate where they using the assessment language. The other benefit of this program is of course the spinoff uses for the laptop and the personalization that the students accomplish with it. Several teachers/students are using technology tools such as Prezi, YouTube, Livebinder, Moodle, etc. to make a more personalized learning environment. These tools fit well in the UDL framework. The UDL framework is the ultimate tool for Instructional Design and professional reflection. It will enable us to move away from content towards process and learning how to learn. We are a long ways from this but fortunately in our educational jurisdiction of British Columbia, the ministry of Education is allowing us to take the risks necessary to make it happen. I can’t emphasize enough the power of a Personal Learning Network and how it has helped construct my approach to education. Bachelor of Arts in French Literature from University of Victoria, BC. Language Diploma from Université de Caen, France. Teacher’s training from Simon Fraser University, Vancouver, BC. Masters in Ed. Leadership from University of Calgary, Alberta. Started off as French Immersion and Leadership teacher at the secondary level in 1995.